I just tested this out and posted on Shoryuken.com a little bit ago. So V-Reversals are 100% strike invincible, but can be grabbed. Similar to Alpha 2 you can OS a special to come out only if they counter, nothing happens on hit (Edit: super will come out on hit still, not on block). Now its a bit different timing and slightly harder to do since you can late cancel so many normals. I tested with Mika on Sim, Ken (he hops off the ground), and Necalli. Basically if you think they are gonna V-reversal, you OS a normal. For Mika I used s.fp. You time it really late so it should not cancel unless they counter. The other option for non grapplers is to V-reversal your opponents V-reversal. Any light attack will be able to block in time to counter the counter. Further more if you think they will V-reversal you can just do a light attack and throw (at least vs sim you can). If they V-reversal your light attack you'll just normal throw. To test I used the record feature to have Mika do the inputs and I used Sim to V-reversal. It'll be decent to use when your opponent is close to stun and you are rushing them down. Not sure how useful it will be in SFV, but hey it's there. Update: I can't get it to work consistently with anyone else. 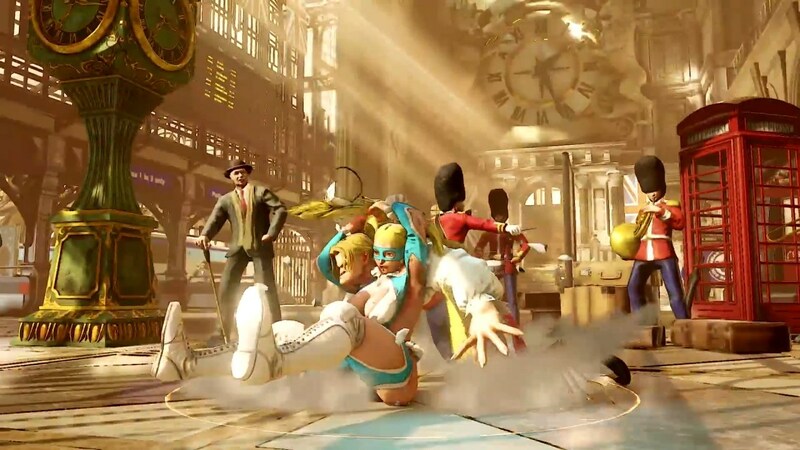 Maybe only R.Mika can do it. Fine by me, I love Mika.